Home › Toys › Senhai 2015 New Design 4X Propeller Blades Rotor Prop Protective Rings Protec..
Senhai 2015 New Design 4X Propeller Blades Rotor Prop Protective Rings Protec.. Compatible with DJI Phantom 1/2/3. 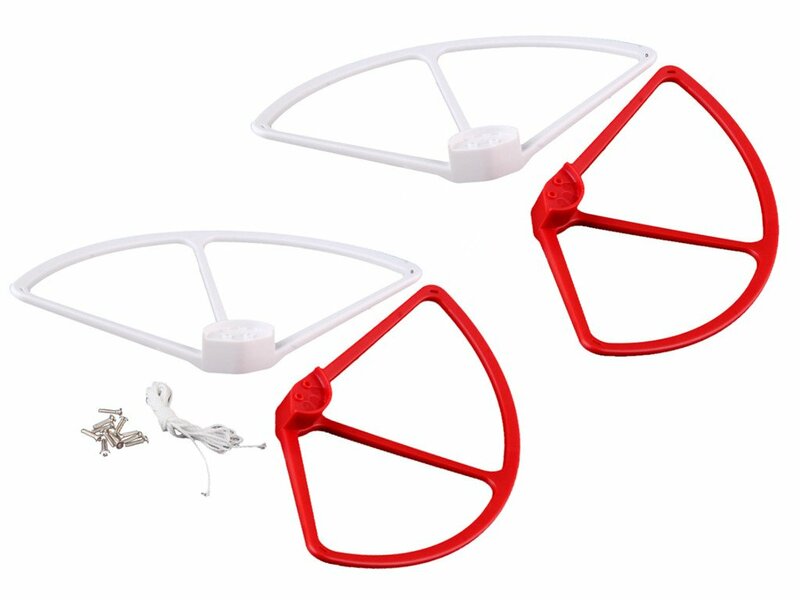 Color: new blades guard The SENHAI Blades Guard is specially designed for DJI phantom 3 vision. Compact and lightweight design, effectively protect your propeller prop. With these prop protectors,your phantom will never drop like stone again. Specification: Color: Red&White Material: Nylon Quantity: 1Set Compatible Model: for DJI Phantom 1/2/3 Package Including: 4 x Protective Rings 10 x Screws Warranty: 1.One year guarantee from Senhai. 2. If you have any question regarding our products and shipping,Please feelfree to contact us.